ZT for Kids! 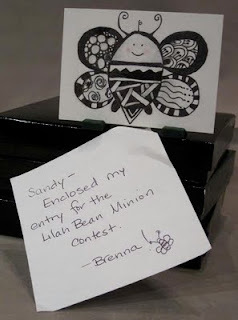 : Brenna Moore - "Bumble Bean"
Brenna Moore - "Bumble Bean"
Brenna Moore is 9 years old, and from Maine. Her nickname is "Little Bee" so she created a "Bumble Bean." 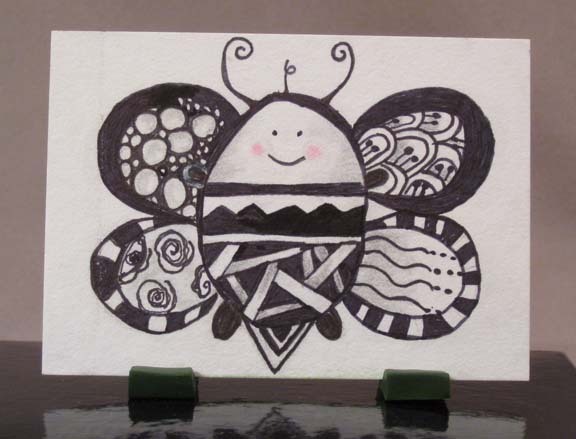 Great idea - and I am partial to bee logos. Nice "Hollibaugh" tangling on the tummy and how could I miss my own "Leeter" on the upper right wing! What a clever girl. Hee hee. Oh, and the little feet holding up the card are green polymer clay. What a very talented 9 year old! This Bumble Bean is fantastic!